Apple has unveiled the Apple Card, a new type of credit card that's built into the Apple Wallet app on the iPhone, offering customers a similar experience to Apple Pay and the ability to manage their cards right from the smartphone. There'll also be a physical titanium card, but one without a credit card number, CVV, signature or expiration date. The Apple Card carries no fees and also "interest rates that are among the lowest in the industry" according to Apple. It says the card will offer the "flexibility to schedule more frequent payments" and show a range of payment options and calculate the interest cost on various payment amounts in real-time. One unique feature of the Apple Card is privacy and security, with a unique card number created and stored on a microprocessor chip on the iPhone for each card. Every transaction will have to be authorized with Face ID or Touch ID and a one-time unique dynamic security code. Users of the Apple Card will be also eligible for a cash-back rewards program when they make transactions. Those who make purchases directly with Apple, including at Apple Stores, the App Store and for Apple services will get a 3% cash-back. 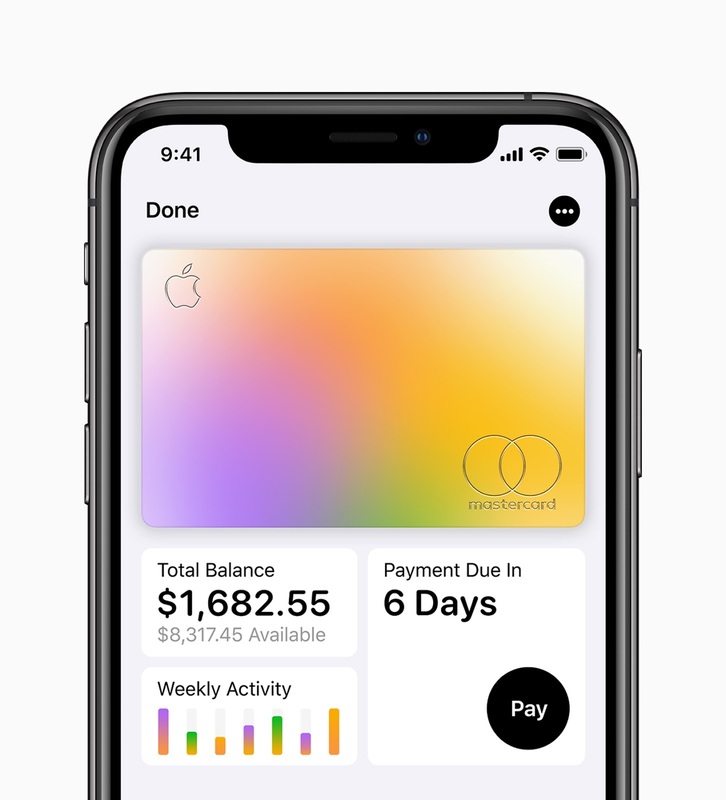 Apple has partnered with Goldman Sachs and Mastercard for this effort, with Goldman Sachs serving as issuing bank while Mastercard powers the global payments network. The Cupertino, California company has also unveiled a game subscription service, new news subscription service, and a new video subscription service.